Eighty years ago today, on this day (July 6) in 1937, Benny Goodman and his orchestra recorded the legendary instrumental version of “Sing, Sing, Sing (With a Swing)”. The song originally came with lyrics, written by none other than Louis Prima, who also wrote the song’s music in 1936. Indeed, Prima cut the first version of the tune that same year, along with his New Orleans Gang band. Fletcher Henderson cut his own version with his band shortly thereafter. But it was Benny Goodman who elevated the song to legendary status. In typical Goodman fashion, they started performing the song during live gigs before eventually recording a studio version for record sales. Of further interest is that Goodman seemed to waste little time to cover Prima’s song, as his band began performing his own version during the band’s second trip to the Palomar Ballroom, which was in 1936. Goodman’s band finally cut the famous studio version on July 6, 1937 in Hollywood, Calif. The location for the recording was likely influenced by the band either doing a West Coast tour, or the fact that they were finishing up their roles for the film “Hollywood Hotel” from the same year. Naturally, the hit record featured in this article is also featured in the film! Regardless, the band line-up remained largely intact from the core that helped launch the Swing Era two years earlier. Red Ballard and Murray MacEachern were on trombones. The two tenor saxes were played by Art Rollini and Vido Musso. The two alto saxophones were played by George Koenig and Hymie Schertzer (Toots Mondello must have taken an hiatus, as he was largely a mainstay with the band through the end of the decade). The rhythm section consisted of Harry Goodman (Benny’s brother) at bass, Allen Reuss at rhythm guitar, and Gene Krupa, arguably the “g.o.a.t” of drummers. Goodman’s trumpet section was the only part of the band that had changed, and arguably for the better, as it boasted an all-star roster of Ziggy Elman, Chris Griffin, and chaired by Harry James, who enjoyed a lengthy solo during the second half of the record. Speaking of which, the track was unique for its length. Most Big Band Era recordings were restricted to three minutes, thirty seconds or less (usually about three minutes and several extra seconds) on account of the spatial and timing constraints of the 10-inch records played at 78 RPM. “Sing, Sing, Sing”, conversely, lasts eight minutes, 43 seconds, thus taking up both sides of a 12-inch 78 RPM record. Whereas most of Benny’s swingingest hits were Fletcher Henderson arrangements, Jimmy Mundy arranged this legendary cut. Not that this was necessarily an anomaly, has he also arranged the great Goodman killer-diller “Bugle Call Rag” from late the previous year. To be sure, many other artists over the years have covered Louis Prima’s catchy melody, from the Andrews Sisters to Goodman to Bunny Berigan to Teresa Brewer. Even Paul Anka issued a cover version in 1958. But clearly, Goodman’s version stands out above all the others. Appropriately, “Sing, Sing, Sing,” was inducted into the Grammy Hall of Fame in 1982, as the tune reached the age of 45 years. Now at 80, let us all take the time to celebrate and appreciate its timeless appeal, its perpetually youthful vigor, and its everlastingly positive contribution to American popular culture! But there is only one problem: the best-known version is not the best version. Moreover, most people are not even aware that Cole recorded multiple versions over a span of 15 years. Those who are familiar with Cole’s body of work at that label would be aware that he recorded multiple versions of many of his hits. He recorded a spate of new versions of his biggest hits from the 1940s and ’50s during the early 1960s, for example. When one examines this pattern, the fact that he cut another version of arguably the most legendary secular Christmas record should come as no surprise. But as many musical connoisseurs – this one included – will quickly point out, Cole’s early ’60s versions lack the sharpness and the soul of the originals. His early ‘60s renditions of “Straighten Up and Fly Right” and “Paper Moon” are pathetic imitations of the 1940s counterparts. His early ‘60s re-dos of his 1951 hits “Mona Lisa” and “Too Young” likewise fall short. Same goes for many more of his respective songs. As great as his 1961 version of “The Christmas Song” may be, it too falls short of previous versions he himself recorded. The only reason he made the later versions was to give the public the option to hear his songs in stereo, as his hits from the ’40s and ’50s were all recorded in monaural (due to the technological limitations of the time). Later that same year, Cole re-recorded that song again, this time with a string section. With his youthful energy and younger vocal chords, this version is a treasure, with a quality and a capturing of Americana far superior to the better-known ’61 rendition. One needs only to give the large-group 1946 version a listen to discern the positive difference. But wait, there’s more! As truly wonderful as his “With String Choir” version from 1946 is, Cole, truly on top of his game the following decade, recorded yet another version of the song in 1953. This will sound rather similar to the ’61 cut, but it has a certain sharpness that the later one clearly lacks, as one would expect from a time when the great singer was clearly in his prime. I first heard this 1953 version on the radio at age nine. Even my lesser-educated ears at that tender age could quickly discern that this rendition was far better than its 1961 doppelganger. The soft beat of the drums in the 1953 recording alone make a huge difference, as they give the tune a key dimension the later one sorely lacks, and that’s just for starters. Plus, the orchestra was conducted by Nelson Riddle, who was one of the chief reasons why Capitol owned the pop market that decade, but more on that some other time. Let it also be known that he performed this song live a few times, some of which have been captured as airchecks for posterity, so they too are floating out there for the hard-core music fans to enjoy. Indeed, it becomes difficult to decide which is the best performance of this song by this artist: his large-group 1946 version, or the 1953 version? The latter is probably more palatable to most ears, as it sounds a bit more similar (compared to the former) to the 1961 edition that everyone who has not been living in a cave since then already knows. The answer comes down to which sort of Americana one prefers, the early post-WWII flavor of Americana, or the 1950s flavor? They’re both absolutely wonderful, so don’t overthink it and add BOTH to your playlist this Christmas season! 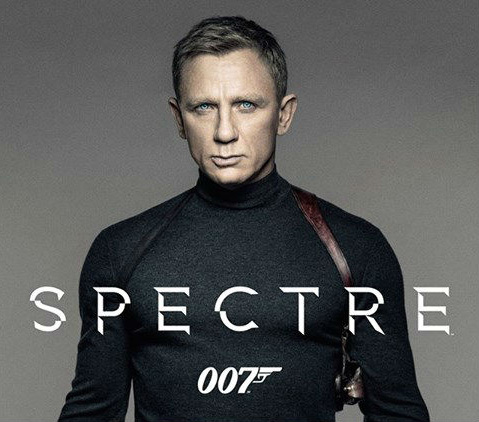 In just two weeks (and change), a new James Bond film shall hit the theatres. It shall be the 24th in the official series dating back to 1962 (“Never Say Never Again” from 1983 was never acknowledged as official), and Daniel Craig’s fourth go at the iconic, timeless role. His inaugural appearance as Bond in “Casino Royale” in 2006 was a smash debut, initiating a new tone to the franchise unseen to such a degree since Roger Moore debuted as Bond in “Live and Let Die” in 1973. Oddly enough, Craig’s second appearance as Bond (“Quantum of Solace”, 2008) frankly did not work out quite so well, but that was primarily the fault of how badly the story was written, for Craig maintained his intense effort toward the role. Throughout the Bond series that spans 53 years and counting, there has been a consistent pattern of the third time being a charm. That is to say, Sean Connery in particular and the series in general truly hit its stride during the ever-popular “Goldfinger” from 1964, the third in the series. Roger Moore came to truly “own” the part in “The Spy Who Loved Me” from 1977, his third turn in the series. Similarly, Craig truly put his mark on the same role in “Skyfall” (2012), which is considered by most to be his finest effort/contribution to the franchise thus far. Indeed, “Skyfall” has had mass appeal, as many viewers have considered it one of the all-time greats of the series as a whole. What was particularly intriguing about the 23rd installment film was that it was released on the 50th anniversary of James Bond on the silver screen, and, moreover, the story set things up for the entire series to come full circle, complete with a new “M” and his relatively modest, albeit stately, office by film’s end. Even the story began its final act with Bond driving his silver 1963 Aston Martin DB5 though some of the most desolate Scottish terrain imaginable, as if it were the early 1960s. So at this point, two major questions arise, and both are variations on ‘where do we go from here?’ To put it another way, after such a grand contribution to the series in “Skyfall,” are we setting ourselves up for disappointment the movie that is soon to follow? Also, in what direction is the series to head, now that the storyline has come, as already mentioned, full circle? To answer the first question, we ought to look at history. Sean Connery followed up from “Goldfinger” with “Thunderball,” which, while not nearly as iconic as its predecessor, was still a huge hit when it was released in 1965. Similarly, Roger Moore followed up on “Spy Who Love Me” with “Moonraker” in 1979. Full confession: the latter is a personal favorite of mine. James Bond goes into space, after all: no other movie in the series can lay claim to that! Better yet, they brought back the iconic Bond henchman Jaws; Moore’s performance was reliably smooth; and Lois Chiles remains one of the most underrated of all the leading Bond Girls (lightyears better than Olga Kurylenko from Q of S, but that sets the bar quite low). The bottom line is, both follow-ups were at least very pleasing. If the pattern holds, we ought not to be disappointed with the upcoming installment. But let us get further to the point. For the longest time, we Bond fans have been hungry for a return of S.P.E.C.T.R.E. (Special Executives for Counter-intelligence, Terrorism, Revenge and Extortion) to the series for a very long time. The last time Ernst Stavro Blofeld (Ol’ “Number One” in the evil organization) made an overt appearance was “Diamonds Are Forever” in 1971, for goodness sake. Granted, SPECTRE was originally meant to operate in a Cold War-dominated world. Author Ian Fleming made no mention of it in his novels, but rather used SMERSH, the Soviet equivalent of the CIA, instead. 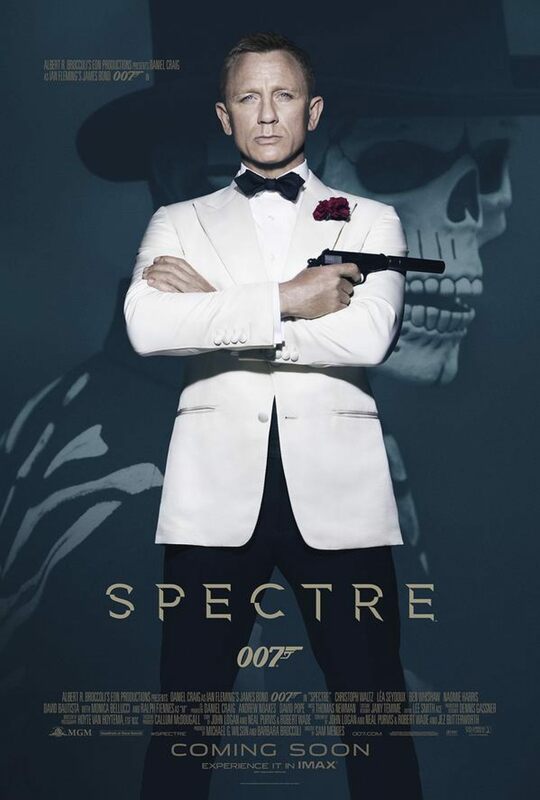 The switch to SPECTRE was made with the introduction of James Bond to major motion pictures with “Dr. No” in 1962, where the main villain of the story/film openly described the organization to Bond over dinner in said villain’s luxurious lair. To this day, nobody has been able to pronounce the acronym in such a delightfully sinister way as Joseph Wiseman did in his role as the half-German, half-Chinese evil nuclear scientist! So yes, it’s been so long since we last heard an overt reference to S.P.E.C.T.R.E. The fact that it shall be front-and-center to the plot (and title) of the upcoming new Bond movie has us fans practically chomping at the bit to see it. With the storyline having come full circle upon the conclusion of the last film, it has been as if the writers read our minds in thinking that it is time for the return of this evil “A-Team.” The shattered windshield in one of the movie’s posters has been designed to appear as the octopus-like logo of the nefarious organization, in another nod to the classic Connery-era bond films. Even more intriguing is the garb in which Craig has been wearing in the movie’s promotional photos. The white dinner jacket is perfectly within the grand traditions of Connery and Moore, but what has really grabbed the eyeballs, so to speak, is the black turtleneck, which Roger Moore rocked quite well during the nighttime raid sequence on the fictional Caribbean island of San Monique (a thinly-guised Haiti, because voodoo) in “Live and Let Die.” But why? Do so many fans and casual observers alike recall such a garment? Or is it on account of another, semi-iconic spy character in Sterling Archer? He is the main character in the animated TV show on FX, “Archer,” who is well-known for wearing this shirt during his shenanigans as a secret agent. The comedic show in question has attracted a strong following among the educated 20-and-30-somethings, and that alone has created considerable cross-franchise intrigue. Regardless, we eagerly await the release of the 24th official Bond film, “S.P.E.C.T.R.E.” The historical parallels of the series, combined with timeless elements lead us to a prognostication that this is an installment surely not to disappoint! After three years, fans of the Seth MacFarlane comedy “Ted” are about to be relieved from suspenseful waiting, as a sequel, “Ted 2,” is about to debut in theatres come late June. In case the reader is unaware, the protagonist is a live, talking teddy bear, who is foul-mouthed, lecherous, super-lascivious, and given to bouts of indolence, drunken revelry, and pot-smoking, yet altogether strangely endearing nonetheless. Basically, he is a modern, crude adaptation of Charlie McCarthy (or, to put it another way, MacFarlane’s Ted is analogous to Edgar Bergen’s McCarthy), and needless to say, it has proven to be most amusing! This commercial-length preview — which debuted during the Super Bowl, no less — alone is enough to have one rolling in the aisles. Once the dear reader has recovered from hysterics, though, re-run the ad again and listen to the tune used for background music. That’s right, they are using Frank Sinatra’s “Can I Steal A Little Love?” which has, er, interesting implications, given the sub-theme this part of the movie explores! “Can I Steal A Little Love” was released in 1957, and one of Sinatra’s many wonderful swinging singles from that year. Indeed, that year turned out to be yet another banner one for Ol’ Blue Eyes, who not only had a spate of hit singles, ranging from “Witchcraft” to “All the Way,” to three albums produced as well, such as “Where Are You?”, “Come Fly With Me,” (both title cuts remain famous in his repertoire) and his ever-popular, ever-timeless, ever-wonderful Christmas album. But as a brief summation, “Can I Steal A Little Love” is one of a plethora of great examples of why not only was 1957 a banner year for Sinatra, but also why his body of work at Capitol Records remains so timeless to this day, as is evident by its use in a major movie commercial 58 years later. No. 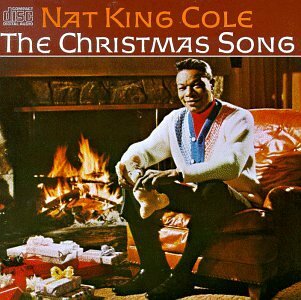 1: Nat King Cole: The Christmas Song. What merits this as number one? Start with the fact that the title cut of the album is perhaps the most iconic recording of a secular Christmas song. Add in the fact that A) this is Nat “King” Cole, whose vocal talents just feel perfect for music to promote Yuletide cheer, and B) this is a Capitol Records album, produced at the time (1960, specifically) when the label included not only Cole, but also both Frank Sinatra and Dean Martin as his stablemates and thus the label pretty much owned the mainstream popular music market in that era. But Cole mixes well the secular and religious songs, making fun, upbeat versions with some (e.g., “Deck the Halls” and “Hark! The Herald Angels”) and poignant versions with others (e.g., “O Tannenbaum” and “O Little Town of Bethlehem”), making for a compilation that spans the proper emotional gamut during this sentimental time of year. The only irony is that it does not contain the best version of “The Christmas Song,” a tune that Cole himself would record officially at least three different times, but that is a discussion for another day. No. 1a: A Jolly Christmas from Frank Sinatra. Make no mistake about it, this album was cut in 1957, when Ol’ Blue Eyes was on top of his game, only a year or so removed from recording his two greatest albums ever (“Songs for Swinging Lovers” and “A Swingin’ Affair”). It shows in this album, too. Just as the previously mentioned album introduced me to Nat “King” Cole, so too did this particular album introduce me to Sinatra at a very early age. Certain songs grab you in such a way that you remember where you were the first time you heard them. For me, it was Christmastime while I was in kindergarten when I first heard the opening track, “Jingle Bells,” on this album, and it stuck with me ever since. The song is so well-known as to be trite, but every once in a while, one hears a version that is so well-rendered as to rise above the triteness. This is one of those songs. But if you are first grabbed by that opening track, you stay for “Mistletoe and Holly.” To this day, few have attempted to cover it because Sinatra did it so well the first time. But two additional tracks truly cement the album’s timelessness. Sammy Cahn’s “The Christmas Waltz” truly helps define the song collection, and no Christmas season is complete without enjoying this track a few times. Others have tried to duplicate Frank’s efforts with this song over the years, but each time, they keep coming up short. The other track that seals the album’s greatness for all time is Sinatra’s definitive version of “Have Yourself a Merry Little Christmas.” Sinatra truly captures the essence of the song itself, arguably outdoing the other definitive version by Judy Garland from 1944. Listening to this song proves to any discerning listener why Frank Sinatra was indeed the singing voice of the 20th Century. The religious songs on the latter part of the album are not too shabby, either. 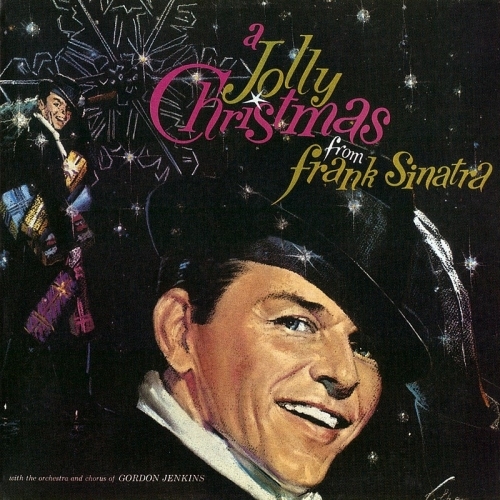 Recent re-releases of the album include an alternative version of “The Christmas Waltz,” which is not quite as good as the official rendition, but it remains a good listen nonetheless (it being a Nelson Riddle arrangement, compared to the Gordon Jenkins arrangements that populate the rest of the track line-up). No. 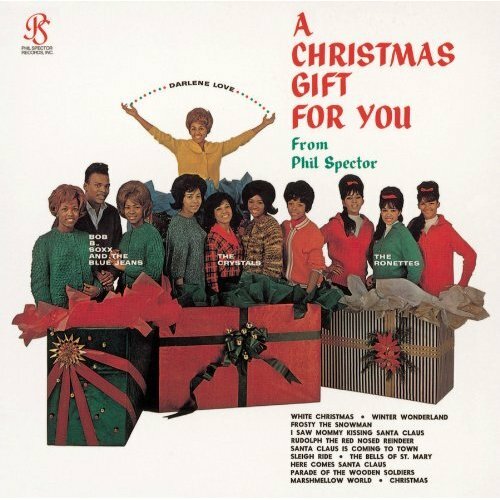 3: Phil Spector’s A Christmas Gift For You (1963). One unique aspect of this album is that it does not center on one artist, but rather on several artists/groups that were the talent pool on Spector’s label at the time. The recording effect that defined the legendary producer’s records came to be known as the “Wall of Sound,” (a primer for those unfamiliar with this effect of recorded sound) and while that effect lifted many Spector-produced tracks to legendary status and made for a definitive element in some music from 1960s, one could argue that this effect was perfected on this very album. If that exceeds credibility in the minds of some readers, I invite them to listen to the last several bars of instrumentation of “Santa Claus is Coming to Town” by The Crystals: it’s vintage Phil Spector (this is not to mention that the song’s arrangement has been copied by many artists in the 50+ years since). There is not a bad track in the line-up, and they include some of the most iconic versions of certain secular Christmas songs. The Ronettes’ version of “Sleigh Ride”, for example, remains the definitive version of this song – in most circles – to this day, though ironically paced with a shuffle beat (one of the oldest rhythmic patterns in popular music). Bob B. Soxx’s rendition of “Here Comes Santa Claus” is a fresh take on that song, too. Indeed, there is a timeless “hipness” to these tracks, which is what makes the album so classic. Of course, Darlene Love contributed the lion’s share of musical gems. Her version of “White Christmas” is the closest one to rival Bing Crosby’s eternally popular 1942 and 1947 versions. “Baby Please Come Home” has become an iconic song in its own right, and her multi-dubbed vocals on “Winter Wonderland” have made it arguably the best version of that winter-themed song to date. With such a strong line-up of recordings, it almost makes “Marshmallow World” get lost in the mix, but an attentive listen reveals that this track is the most underrated on the album. This is easily the greatest version anybody has made of the song, and the energy that Love puts into the vocals on this track are positively contagious. Moreover, if one focuses just on Love’s contributions to this song compilation, one cannot help but conclude that these make up the very cornerstone to her musical legacy. Put all three albums together, and you have a solid trifecta of timeless Christmas music that has stood the test of time for more than five decades, which is all too fitting for a holiday season partially defined by timeless traditions.